I’m proud to announce that I’ve just secured a partnership with Silverton Mountain as the first member of their pro rider team! I spent a lot of time there last year working on a couple projects, and it’s where the Red Bull Cold Rush was held last year (and again for 2012!) and it’s also where I shot a commercial, and a did a photoshoot for Fischer. I fell in love with the place! Whether it be the funky little town, the single chairlift that opens up a world of endless, towering, gnarlypants terrain, or the helicopter hiding in the trees behind the “main lodge” a.k.a. banquet tent/old bus. The place is charming beyond belief and I’m already getting nervous thinking about some of the lines I’m going to ski this year. Silverton, Colorado — Silverton Mountain is proud to introduce the newest member of the Silverton Mountain professional freeride team: Suz Graham. Not only is Suz one of the top female freeskiers in the world, she also is a highly accomplished BASE jumper. Her aggressive no frills, all thrills style is a perfect match with Silverton Mountain’s famously challenging terrain. 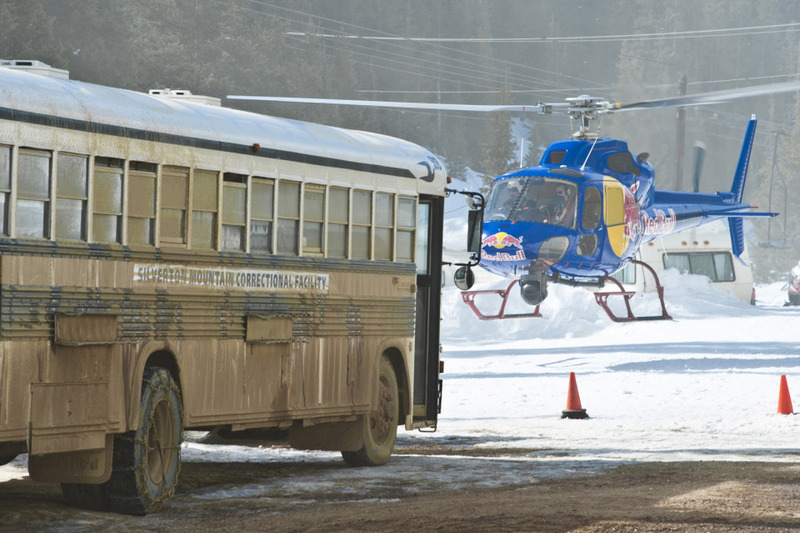 During the 2011 Red Bull Cold Rush Event at Silverton Mountain which featured the best skiers in the world, Suz Graham won the ‘Big Mountain’ portion of the competition. Suz set the tone for the Big Mountain day with an incredibly gutsy line through the Pequenos that finished with a cleanly stomped 20 footer over the cliffs. She was just warming up for the next couple days of the Event where she proceeded to log more air time than an all-night radio DJ. Suz also took the overall win at the Red Bull Cold Rush 2010 Event. Outside the adventure sports world, Suz is passionate about preventative health and wellness. She holds a Bachelor of Science from the University of Utah in Health Promotion and Education, is a licensed Wilderness-EMT and Yoga Instructor and studies alternative medicine and nutrition in her spare time. Look to the skies this season at Silverton Mountain, you may just catch Suz Graham throwing one of her signature lofty backflips! Silverton Mountain Opened for the 2011-12 ski season Dec. 3 with some of the best conditions in Silverton’s history with 99 percent of the mountain open and great powder snow. It is always good to brush up on your avalanche skills before heading into the mountains. The Avalanche Level 2 class is being offered at Silverton Mountain Dec. 8-11 for $379. The Level 1 Avalanche class is offered Dec. 16-18, 2011 for $299. Previous postSeth Morrison is my Hero.